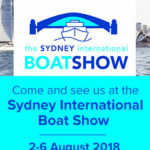 When your anchor presents itself onto your bow roller upside down it can be a real problem, they can damage your boats structure and also jam in this position, the bigger picture, even more problematic, is if this happens when being retrieved through an underdeck pull pit, damage resulting from this can be ongoing and very expensive until eventually you submit and remove the anchor design. 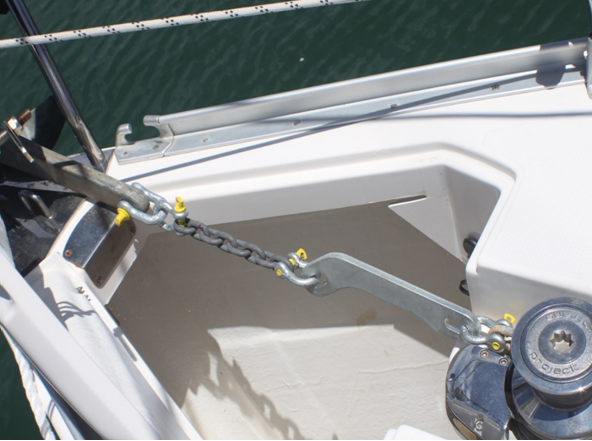 The Flip Link as shown is easily installed between your windless and anchor, care still must be taken when retrieving your anchor, the Flip Link is simple and easy to install, if your anchor is upside down then the Flip Link will in most cases automatically right this problem before the anchor enters your bow roller. 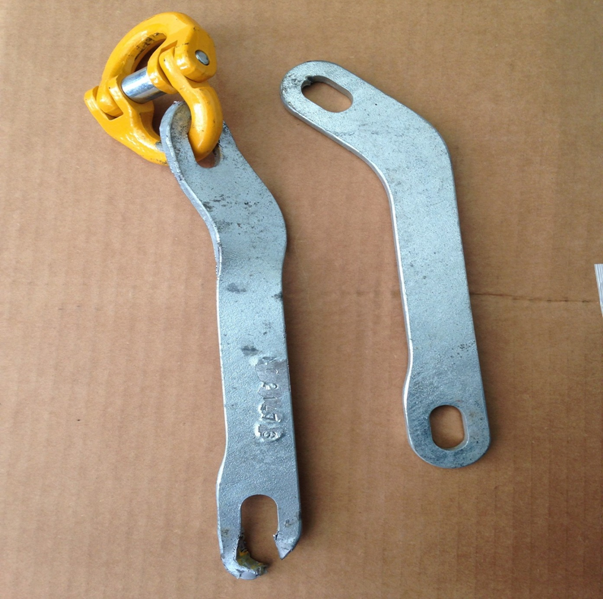 The range of Flip Links, for use on chain from 6mm to 16mm have been built with hi quality steels and then tested to destruction, the hammer lock was installed for these destruction tests. This Flip Link, designed for 8mm chain with a minimum break load of 3t, eventually failed at just under 10t. If you select the correct size, its strength will be in excess of the rest of your ground tackle, simple to install, effective and strong, one piece construction, a swivel is not necessary but can be used in line with the Flip Link if desired. 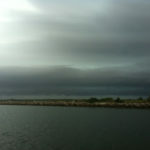 Understand, this is not just a small boat problem, which is why we have five sizes available, this covers you from trailer boats, yachts to 150 ton Trawlers. All chain links must be straight on installation as in this illustration. 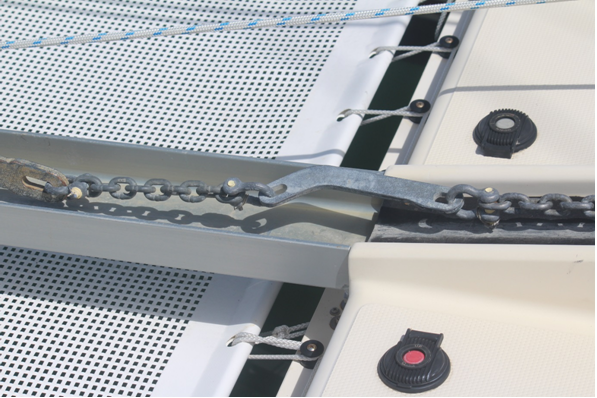 You can have only a couple of chain links between the Flip Link and your anchor if you want, the more links between the Flip Link and anchor, the less aggressive the flip of the anchor will be, when self-righting. All shackles should be tested brands, equivalent or — in excess of your chain strength. NOTE; the above shackles as yet are not moused – wired off to prevent them from unscrewing, note the holes through the screw pins provided for this, be sure after installation to mouse of all shackles. 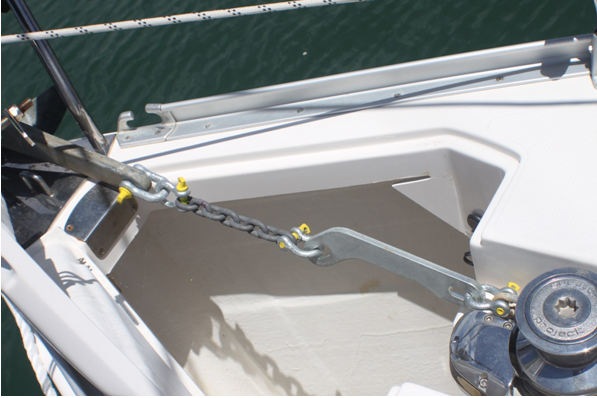 Note the mousing wire now shown through these bow shackles, once the Flip Link is installed and moused off, carefully operate your winch to check all is correct. Before purchasing, always ask for the correct size and dimensions to make sure you have the room to fit a Flip Link. 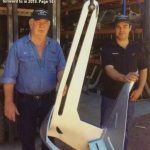 All Anchor Right Australia’s products are designed and manufactured only in Australia from Australian steel.